Movies are no longer confined to the screen. 4DX draws you into the movie as if you’re living inside its world. We provide the largest number of multisensory signature effects industry-wide. 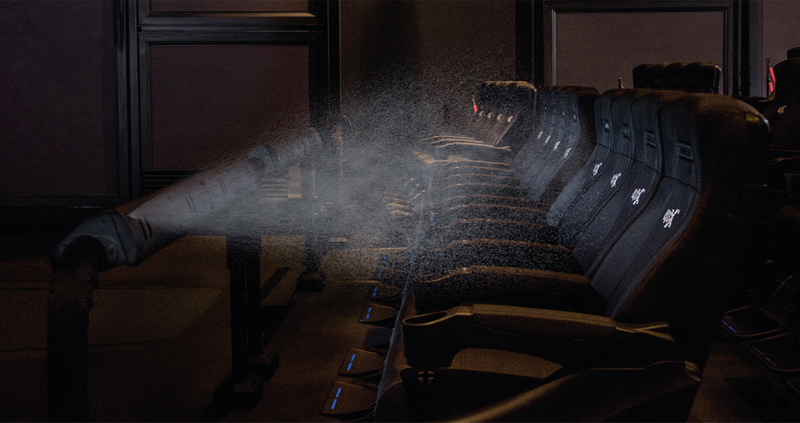 With 21 different kinds of signature effects, 4DX creates the most outstanding environment for movies. Every second counts in the movie experience. What matters is how we transform those moments into reality. Delivering precise and elaborate seat motions with the movie scenes is our specialty. Not only do 4DX motion seats have a wide range of speed control, they also deliver precise vibrations to bring out realistic emotions and feelings. For the first time in the world, 4DX has widely spread the 4D movie experience trend in many countries. Since 2009, over 640 Hollywood blockbusters titles and local films have been screened in 4DX, surpassing 76 million moviegoers to date. 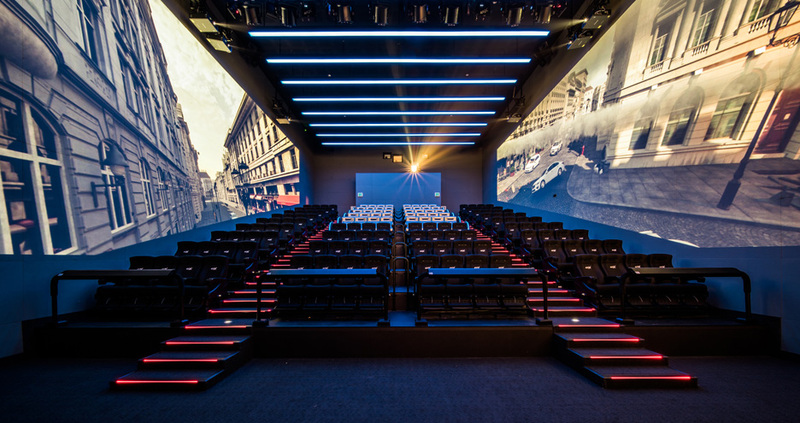 4DX provides the largest number of multisensory effects among 4D cinema brands. 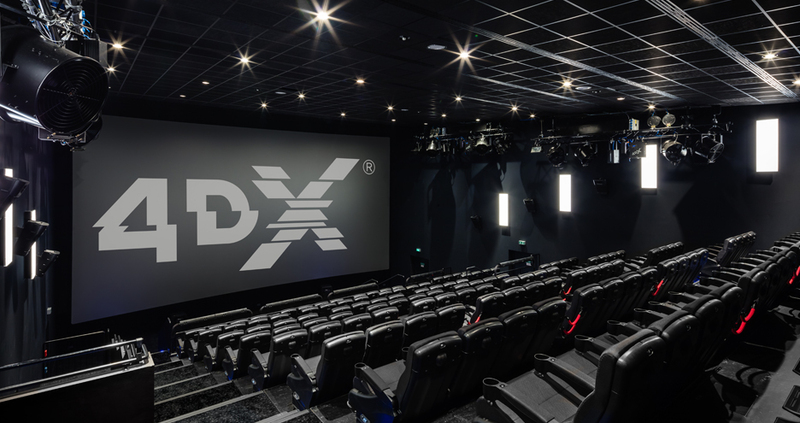 Our cutting-edge technology combined with quality, and distinctive, multisensory effects set 4DX apart as an industry leader. 4DX's new motion effect, Sway & Twist (side to side movement), was developed for the first time in the 4D movie industry. Sway & Twist delivers a refined, realistic experience for fast, sweeping motion. 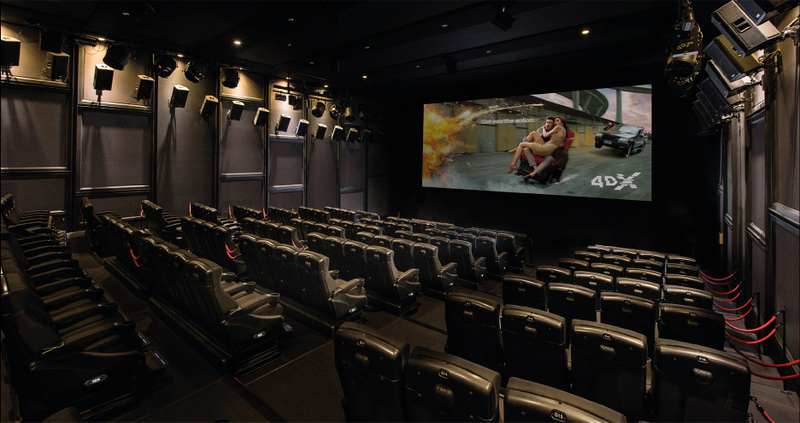 4DX PRO includes additional environment effects that make possible a more complete and immersive viewing experience for audiences. 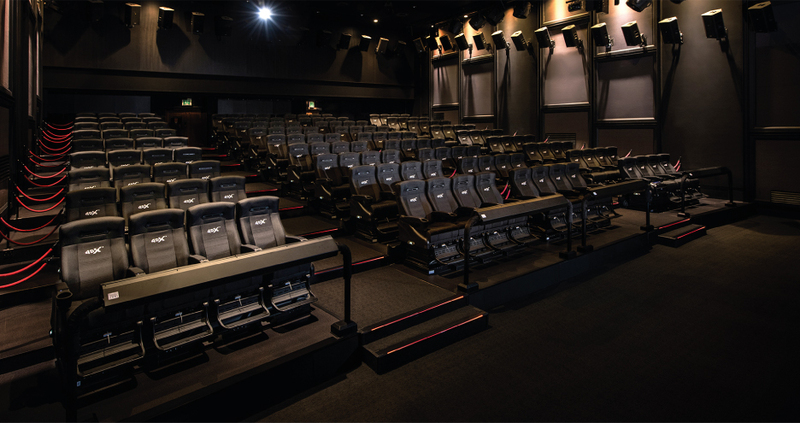 With the addition of the premium effects, exisiting 4DX exhibitor partners can upgrade their 4DX theaters to rasie strengthen premium offerings and continue to differentiate their brand image. 4DX Standard consists of motion chairs equipped with motion simulators for 3 Degrees of Freedom. The Standard model also includes scents and the bottom and back shakers. 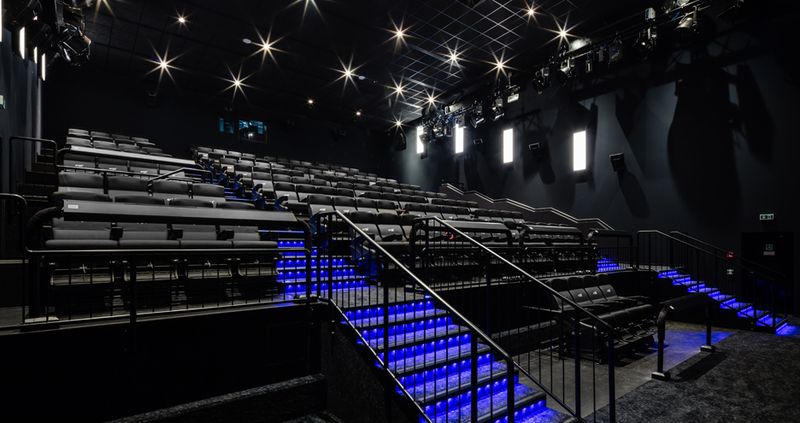 The combination of these effects are designed by the 4DX i-Studio and perfectly synched to the action on screen to give the audience an unprecedented immersive cinematic experience. 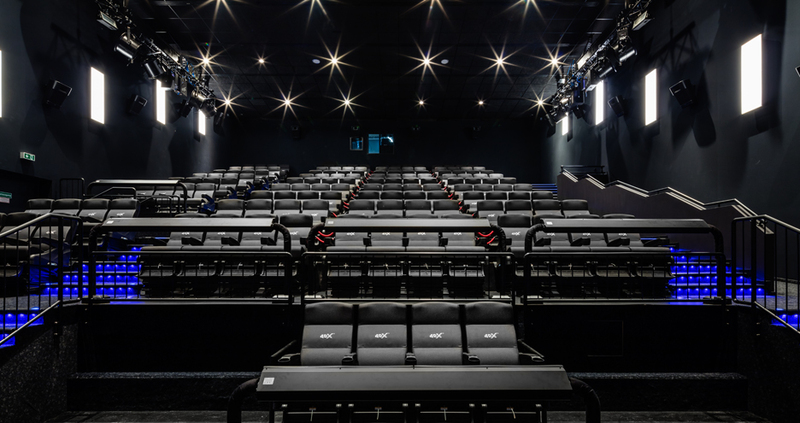 4DX Economy offers a high level of cinematic experience along with upgraded environmental effects such as snow and rainstorm while motion chairs are more compact than those of 4DX Deluxe & Standard. 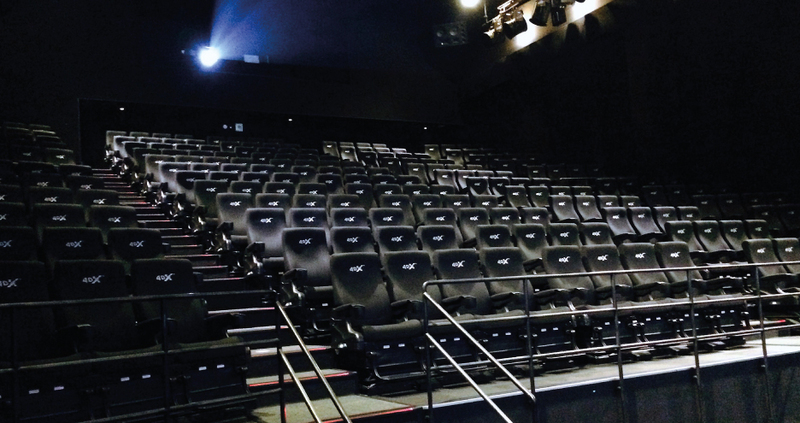 4DX has been proactively expanding its market share around the world. As of March 2019, there are more than 72,000 4DX seats located at 620 sites in 62 countries. 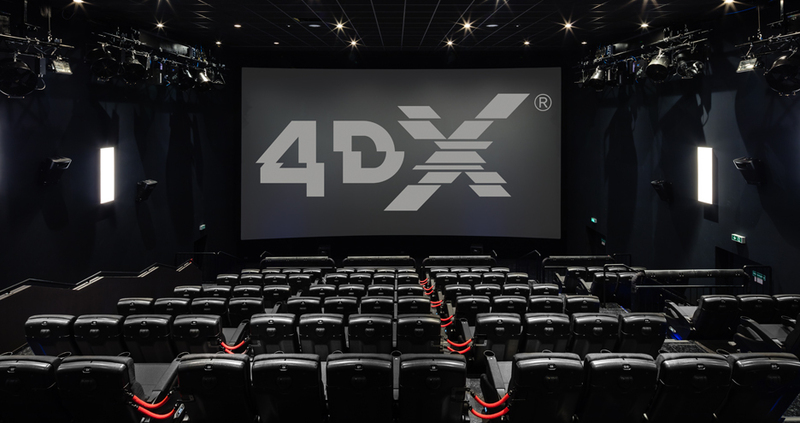 4DX countinues to deliver 4DX technology around the world, partnering with a number of global multiplex exhibitors.